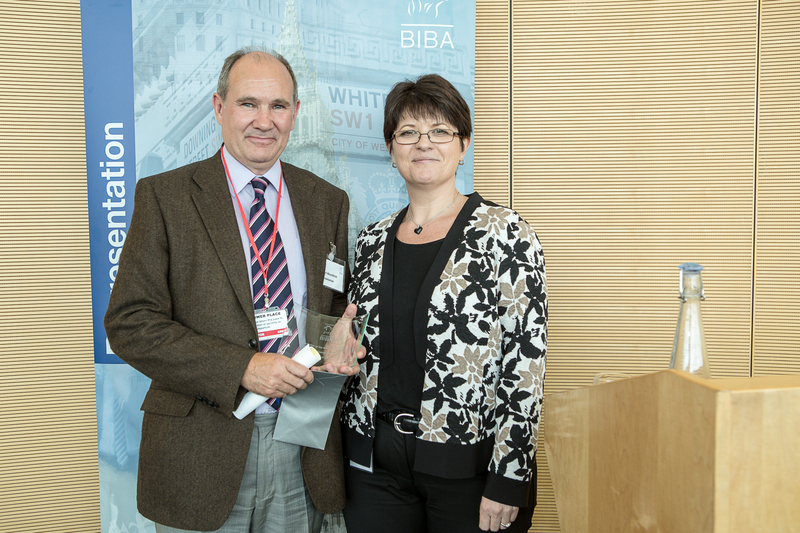 Receiving the award from one of the judges, Julie Page, CEO of Marsh’s consumer & commercial practice. I’m rather pleased to have won the Trade Feature Award at the BIBA Insurance Journalist of the Year Awards for a piece called “The Rise of the Machines” about drones and pilotless planes. Such things were the stuff of science fiction when I first won the same award back in 1984. Nowadays you get a simple piece of glass as a trophy (and a rather nice cheque) for winning. Back in 1984 it was a silver spirit measure which probably says something about how people viewed journalists then. 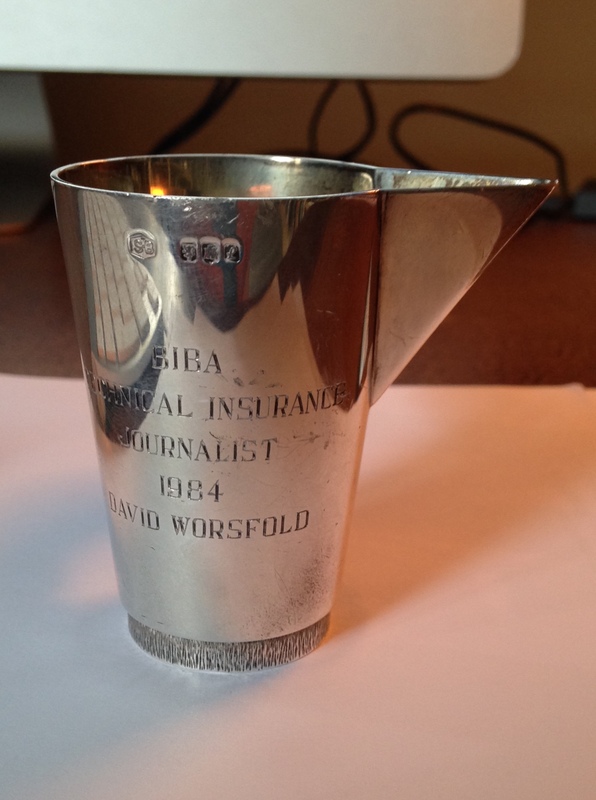 As someone kindly pointed out (I think they were being kind) with the other awards from BIBA and the ABI Media Awards I have won over the years I have now won journalistic awards in four different decades. Only another five years to go before I can can try to make it five decades. I’ll probably have to write about insuring flying saucers or making a claim when you are time travelling for that one!